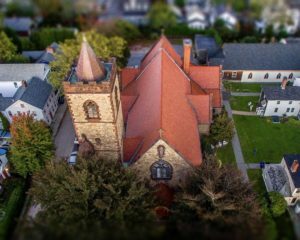 The Professional Choristers, along with the combined choirs of The Zabriskie Memorial Church of Saint John the Evangelist and Emmanuel Church, will hold a joint Advent Service of Lessons & Carols at St. John’s. 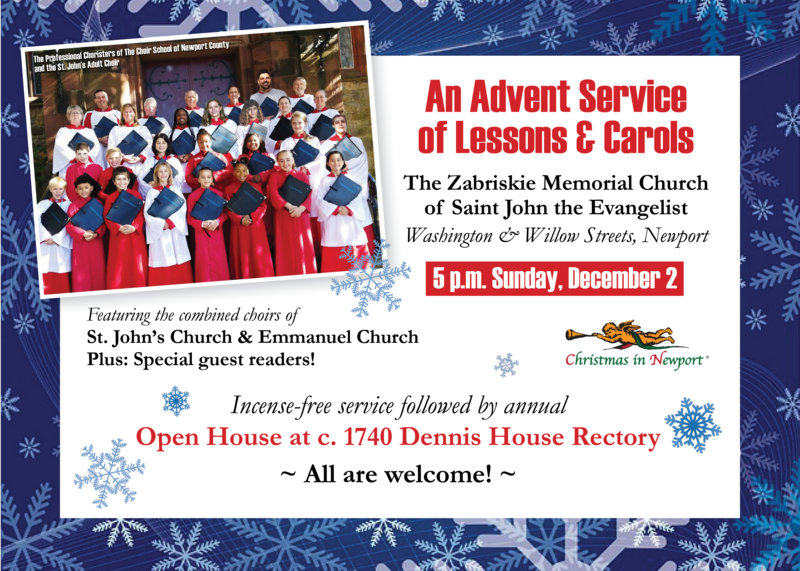 Advent Lessons & Carols is an atmospheric sequence of traditional readings and Advent carols with congregational hymns. Join in a centuries-old journey from twilight to light as we begin in near-darkness and progress in stages to full light along with the music. Directed by Peter Stoltzfus Berton and Waylon Whitley; officiating clergy: The Rev. Dr. Anita Louise Schell and Fr. Nathan J.A. Humphrey, with other area clergy and civic officials participating. Free-will offering. Incense-free and child-friendly for ages 5 and up. This is a Christmas in Newport event.